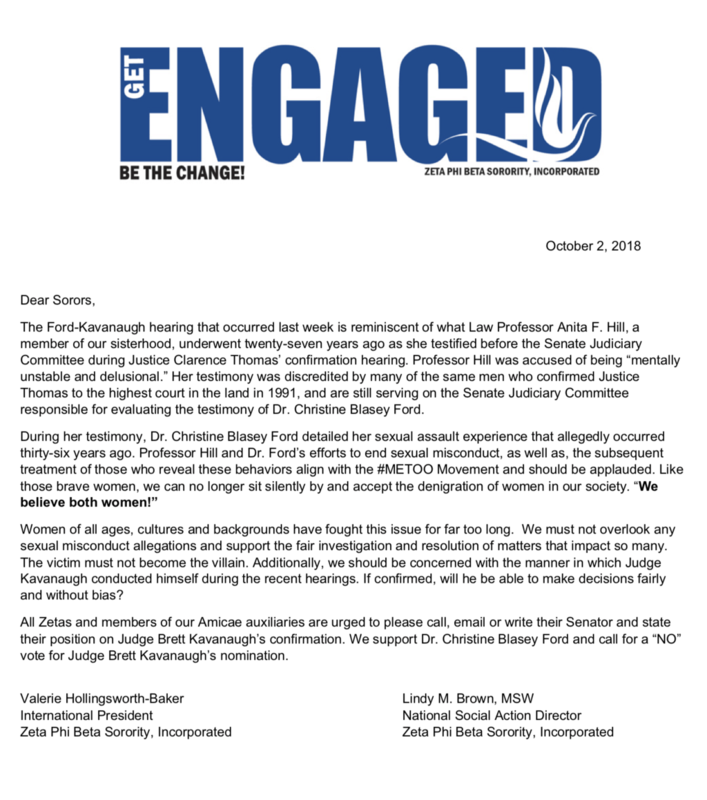 The women of Zeta Phi Beta issued a statement Tuesday urging members of the sorority and its auxiliaries to contact their senators and let them know their opposition to Judge Brett Kavanaugh’s Supreme Court nomination. 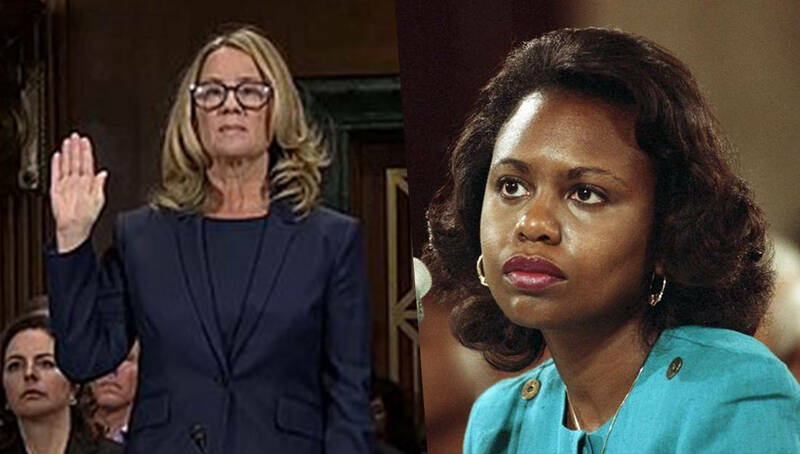 In the statement which was publicly shared on the sorority’s website and their official Facebook page, the sorority drew parallels between the Ford-Kavanaugh hearing and the treatment of Zeta Phi Beta soror, Law Professor Anita Hill twenty-seven years ago when she testified before the Sentate Judiciary Committee during Justice Clarence Thomas’ confirmation hearing in 1991. Dr. Anita Hill, Esq. was inducted into the sorority as an honorary member on January 7th, 2017. “Anyone who lies in a Senate Judiciary committee hearing should not be on the Supreme Court,” she said.